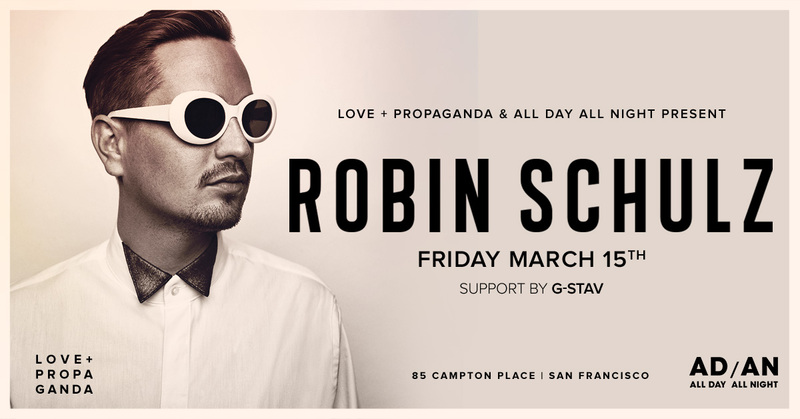 Robin Schulz is hands down one of the most innovative producers of our time, we're thrilled to welcome him to Love + Propaganda on March 15th! 30-year old music producer/DJ from Osnabrück, Germany. Currently spreading his unique take on house music across the globe, one wave at a time.